Christmas has already begun for me. On Saturday, the DH and I drove to Pittsburgh to visit the boy and his GF (my DIL-to-be). The Clapotis was given and very well received. When I showed my Sparkly Garter Rib Socks to the boy’s sock worthy GF, she thought they were beautiful. They had softened up and bloomed when I washed them, and the softness caused her to pet them repeatedly. When I saw that look of love in her eyes, I knew. I just knew. Those socks were meant for her. I know they will be happy in their new home. In addition to giving gifts, I also received a couple. GF gave me a book by an author I have never read but have wanted to read for a long time. 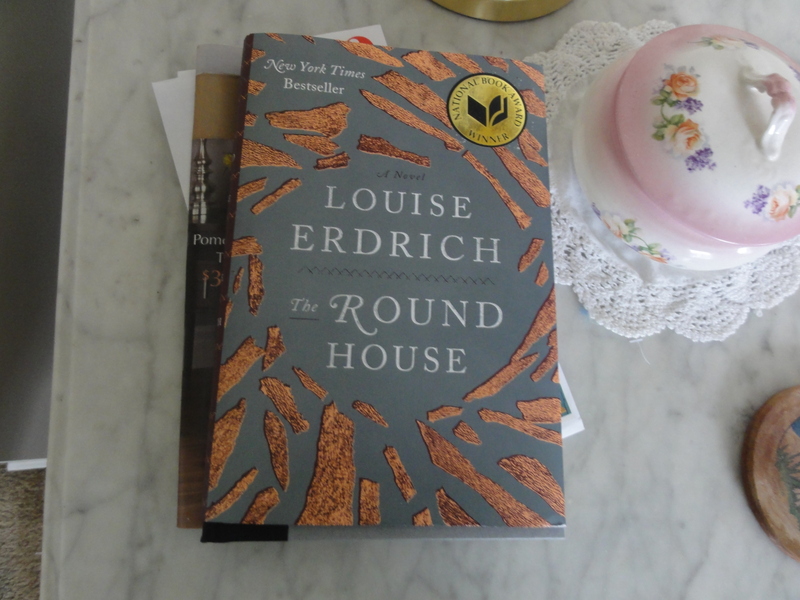 I must quickly finish the book I am currently reading so I can get started on this one. The boy has his father’s knack for giving me the most unexpected, yet perfect gift. 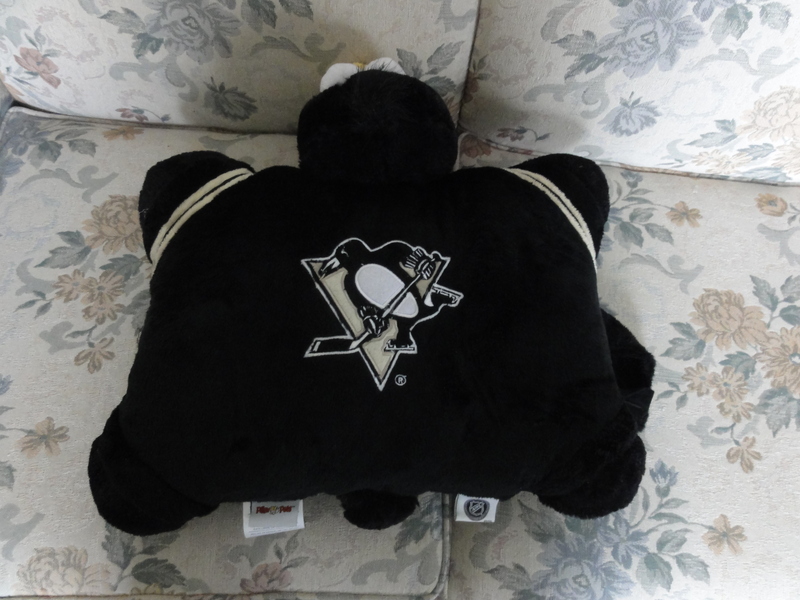 Yes, it’s a Pillow Pet, as seen on TV. 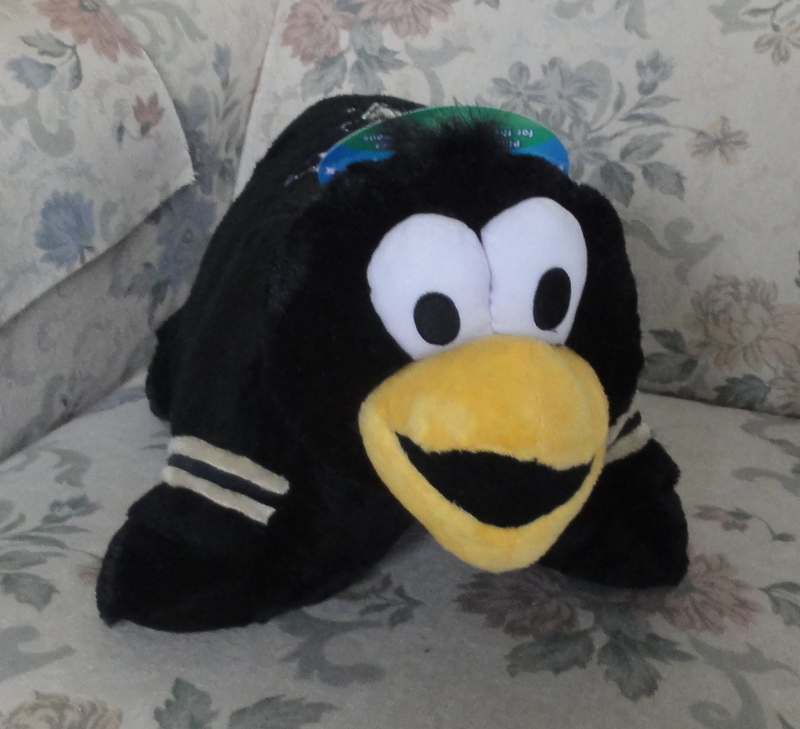 Iceburgh is the mascot of the Pittsburgh Penguins ice hockey team. The Pillow Pet opened up. It’s very soft and cuddly. We had a lovely visit, and the icing on the cake is that when we went out for dinner, the GF’s mother joined us. We had a great time. I hope that you, dear reader, have a very merry Christmas and the happiest of new years. You deserve no less.